With a father who is well respected in the magic world, Scott was bound to become a magician and by the time he was six he was already performing in front of appreciative audiences. "....polish and zest that only a seasoned performer can accomplish"
Scott's success in the Young Magician of the Year helped him to become a member of the Magic Circle . He has subsequently been promoted to member of the Inner Magic Circle (with a Gold Star). In 1992, at Europe's largest one-day magic convention, he was awarded the title British Magical Champion of General Magic. 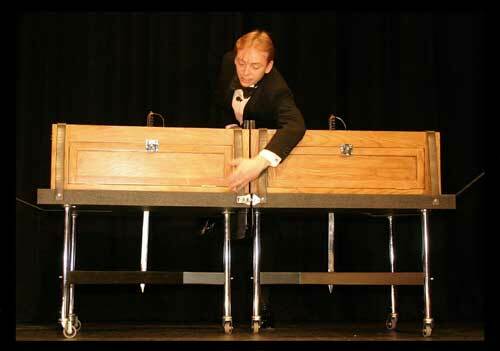 In 1997 he won the Dittia Challenge Shield at the International Brotherhood of Magicians annual convention. More recently, The Magic Circle honoured Scott with the title of Stage Magician of the Year. His skills have not just taken him to prestigious venues in Great Britain such as the London Palladium , but also to France , Spain , Holland , Belgium , Denmark , Eire , the Middle East and the United States . In addition, his clients have included major corporations such as BBC TV, London Weekend Television, GlaxoSmithKline, Blockbuster Entertainment, Toni & Guy and the Ford Motor Company.